Our Company is Established in the year 1985, we, “SKYLAB ENGINEERS AND FABRICATORS”, are engaged in manufacturing a wide range of Four-Point Bag Lifting Centrifuge, Three-Point Bag Lifting Centrifuge, Manual Top Discharge Centrifuge Machine, Basket Centrifuge, Centrifuge Machine, Hydro Extractor Machine in Stainless Steel and Mild Steel and all type of centrifuge machine spares parts, clutch pulley, Rotor Pulley etc . These products are manufactured using superior quality raw material and latest technology machines. 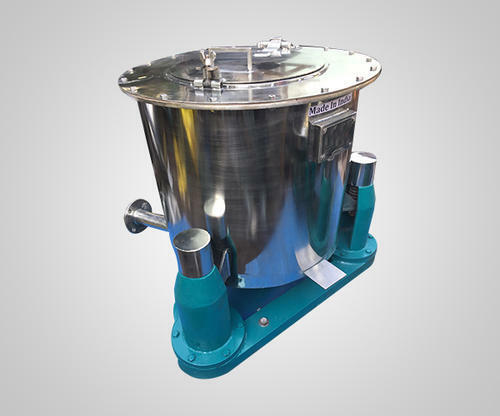 We also offer Centrifuge Machine Repairing Works. Our machines are acknowledged for their features like low power consumption, easy installation, smooth operations, corrosion resistance, longer service life, hassle-free performance, and user-friendliness. Owing to these features, our products are used in pharmaceutical, chemical, and other industries. We offer these machines in various models and specifications to our respected clients.